So when the Birfers say "All he needs to do is produce a long form, then this issue will go away", they are simply lying. I thought as much, but it's nice to see someone from your camp confirming my suspicions. Kudos for honesty. Maybe you don't want to see the student loan applications, but if they were Government Guaranteed Student Loans, I do have the right to see the applications and the paperwork since I am a taxpayer and I guaranteed those loans. You keep stating that you have the right, yet you produce not one iota of legal evidence that this is the case. Because YOU say I don't have the right mean nothing, nada zero. And on the flip side of that, YOU saying that you have the right means nothing. You're making the claim, it's on you to back it up. I pay for the defaults, so I have the right to see the applications. Since there have been investigations of Gov't guaranteed loans, it falls under the FOI Act and thus the loans are subject to public scrutiny. You've just claimed that all student loan applications are open to anyone under the FOIA. Why not make the case? Show us an incident where this actually happened. Frankly, I would consider this a massive breach of privacy and I very much doubt that every application and the details of all loans are in the public domain. So you can think I don't thave the right all you want but you are flat out wrong. It's obvious that you feel very strongly that this is case, but strength of emotion is not a legal argument. I think the American idiom is "put up or shut up". It's funny no matter what you say or what proof that you provide it is still not going to change some of these people's mind. Why are they so persistant on a futile arguement is beyond me. The man is still the president rather they like it or not. 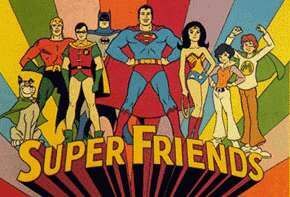 "The United States Justice Foundation (USJF) served officials at Occidental College with a subpoena....."
do you know that the USJF is a made up organization and has about as much authority to officially serve a subpoena as the Justice League of America (.... that's right, the Super Friends ) ? If they were Government backed loans, there are records both with the Banking institutions of the state in which he applied, and also lodged with the institutions he used them to attend, like Columbia and Harvard. The loans copies are there, they refuse to release them. If I had the time and the inclination, I would file the FOI for them but I really don't care all that much because this, and almost every government before his, are as crooked as a dog's hind leg, so you people who think this guy is the second coming of Jesus have your heads up your rearends. Here is an interesting site that raises many questions about his education.. I could care less about his BC because that is waterover the dam. Even if it was proved tomorrow he was a foreigner, he would continue to serve out his term. He would just be pre-empted from running again. I am more concerned if he committed fraud by lying on his loans, or even if he misrepresented himself as a foreigner, on applications by stating he was a foreign student. That is an impeachable offense since it is a felony to lie on any federal document. As are CA's and TX's, which nonetheless are not accepted by the State Dept for passport applications. Anyone born in those states must provide long form BCs. They are accepted by the courts. They will be judicially recognized, they go into evidence, and the prove the fact of birth. The burden then shifts to your side to prove that fact isnt true. Think hard, or even better, objectively. There is a reason none of these cases ever get anywhere. I cant believe we dont. Dont these people get access to SECRET or higher info? Or maybe just the ones that do get clearances. Regardless, I served in the Navy and had an extensive background check done, anyone who is serving in DC should have to do so also. Its a travesty if its not done! And born here or not, would Obama really have passed a background check with some of his past associations? I think itd be borderline at best. But then again, maybe standards are lower now.